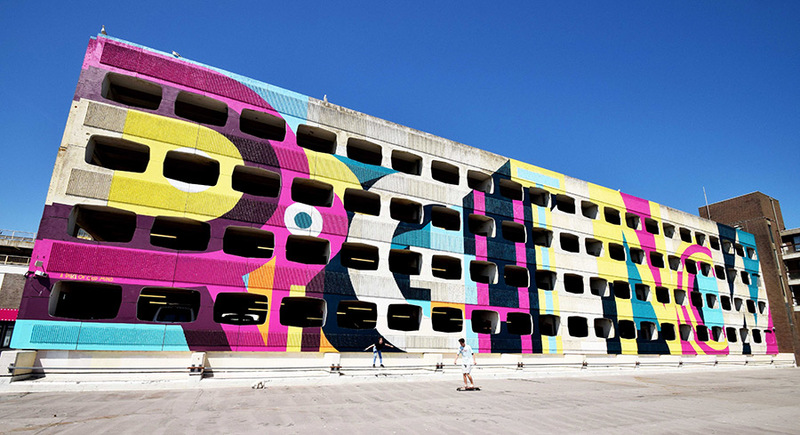 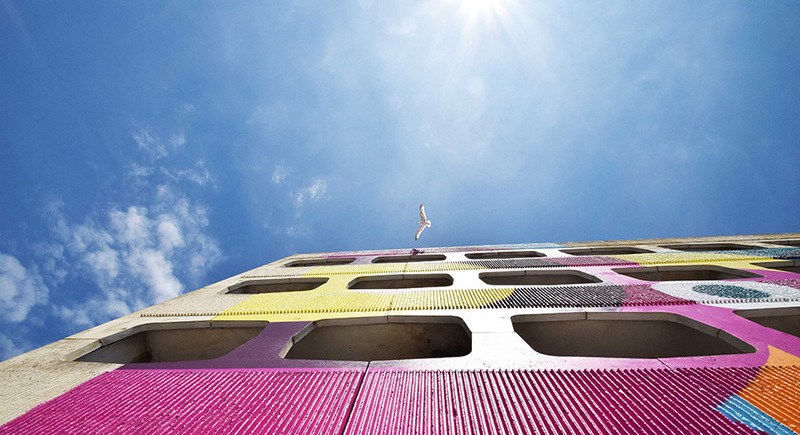 The reimagined building has been spray-painted in bright colours and candy stripes inspired by the seafront iconography such as deckchairs, inflatables and ice-creams. 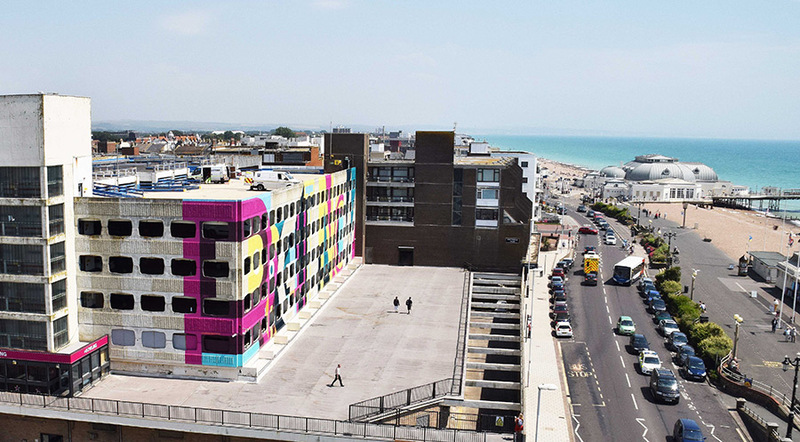 On closer inspection, it spells out the phrase 'RIGHT NOW' which represents the creative regeneration that is occurring in the area (and is also an anagram of Worthing). 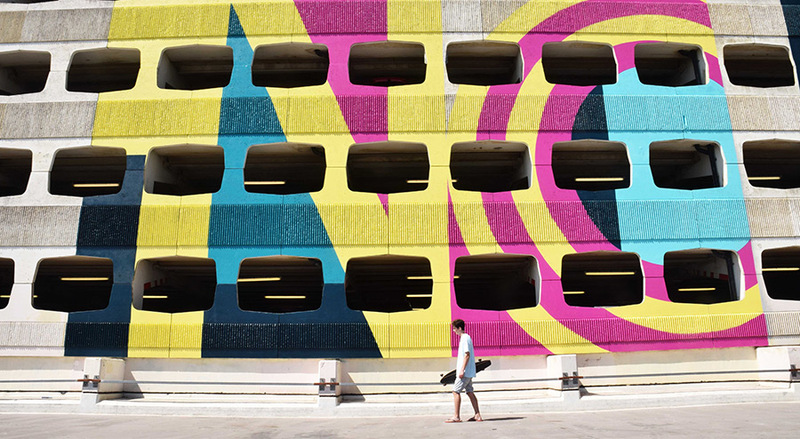 To design the artwork and execute the project, we teamed up with acclaimed street artist, Ricky Also who got through 600 cans of spray paint and took seven days to paint the building - believed to be the largest mural in the UK.